Today is Mother’s Day and this is a tribute to the person who first inspired my love of food and cooking – my mum. I call her “mum” because of the formative years – from age four to 19 – I spent living with my parents and two brothers in London, England. 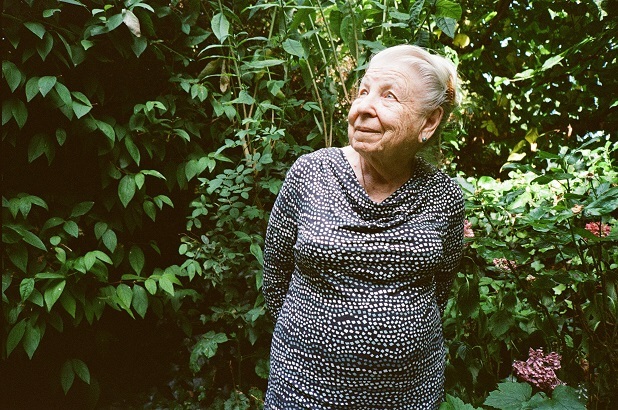 It was by phone from the North London home she shared with my dad until his death two years ago, that my mother recently told me about the food of her childhood, learning to cook and what breaking bread with others means to her. My mother, Ruth Schachter (nee Nisse) is 79. She has bachelor’s and master’s degrees in science from McGill, taught high school biology for many years, speaks five languages and has worked as a translator from Russian and German into English. She’s a bookworm who likes to read Goethe’s poetry, in German, with her morning coffee – “I find it soothing,” she says shyly – and enjoys a good Proust or Dostoevsky novel at bedtime, in the original. She is also a fantastic cook who knows how to welcome guests into her home like few others. A holocaust refugee who once told me to watch Vittorio di Sica’s magnificent, heart-wrenching film The Garden Of The Finzi-Continis to best understand her past, grew up in a wealthy, educated Jewish family in Riga, Latvia. Today, through the veil of survivor guilt, she recalls a “golden childhood” that suddenly ended in 1939. That was the year she, her parents and younger sister left for North America, spending a year en route that included stays in Sweden and Japan. The hope of my oil tycoon grandfather Aaron Nisse was to help the many relatives still at home escape. Sadly, they all perished at the hands of the Nazis. Still, my mother’s memories of life at the family’s 10-room, art nouveau apartment on elegant Elizabetes St. in downtown Riga and at their nearby seaside summer house – the dacha – border on idyllic. Food was the responsibility of a professional, live-in cook. My grandmother Agnes was a pediatrician who operated a clinic in a poor neighbourhood and never learned to boil an egg. Her duties consisted of suggesting menus and ordering groceries which were delivered via the back stairs. Lunch was “a hefty midday meal.” Among the German entrees were sauerbraten (marinated, braised beef), rouladen (stuffed, rolled-up beef), sausages and wiener schnitzel. Favourite Russian dishes were little meat pies called pirozhki, beef stroganoff, coulibiac (salmon in puff pastry), meat patties called kotleti, borscht and a gelatin dessert made with fruit called kissel. At Friday night dinner, Jewish standards like chicken soup, gefilte fish, chopped liver and chopped herring were de rigueur. At that time, Latvia was, she says, “a land of milk and honey.” Fresh ingredients like cranberries, all manner of fish, sour cream and butter were of top quality and plentiful. She recalls going to the local patisserie regularly to buy one of that country’s famous “apple pies made with puff pastry on the top and bottom,” and the wonderful taste of the famous local bread: sweet-and-sour rye. After the move to England, the home entertaining began in earnest. Soon, our family was known for gatherings at which good food and lively conversation reigned supreme. These days, my mother’s eclectic culinary repertoire includes European baking from kugelhopf and linzertorte to strudel and kuchen. She makes a mean lamb curry, delicious roast duck with red cabbage, all kinds of stir-fries and a yummy prawn rice salad. But she hasn’t forgotten her Eastern European roots and often prepares what is arguably Russia’s most famous dish: beef stroganoff. This version is adapted from her favourite, well-worn cookbook: How To Cook And Eat In Russian (G.P. Putnam’s Sons) by Alexandra Kropotkin. My mum is adamant that this is a quick, pan-fried dish, not a stew as it often is in restaurants. Also, you must use top-notch beef like tenderloin, sirloin or New York steak. She likes to use brown mushrooms. Don’t use low-fat sour cream or yogurt; they may curdle. Cut beef into strips about 2 inches/5 cm long, 1 inch/2 cm wide and ¼ inch/1 cm thick. Sprinkle with salt and pepper. Heat 1 tablespoon of oil over medium-high heat in large heavy skillet. Add mushrooms. Sprinkle with salt and pepper; cook, stirring, until browned, about 4 min. Transfer to bowl. Add remaining 2 tablespoons of oil to skillet. Using tongs, add only enough beef to fit in single layer. Cook, in batches if necessary, turning once, until browned on both sides, about 3 min. Transfer to bowl. Reduce heat to low. Add onion to skillet. Cook, stirring, until soft, about 2 min. Add flour. Cook, stirring and scraping up browned bits from bottom of skillet, about 1 min. Whisk in stock and mustard; cook, whisking, about 2 min. or until thickened. In small bowl, combine sour cream and 2 tablespoons of sauce from skillet. Add to sauce in skillet; cook, stirring, until heated through, about 1 min. Return mushrooms and beef to skillet. Stir to coat with sauce. Cook until heated through, about 1 min. Taste; add salt and pepper if necessary. Garnish with parsley. Serve with egg noodles.